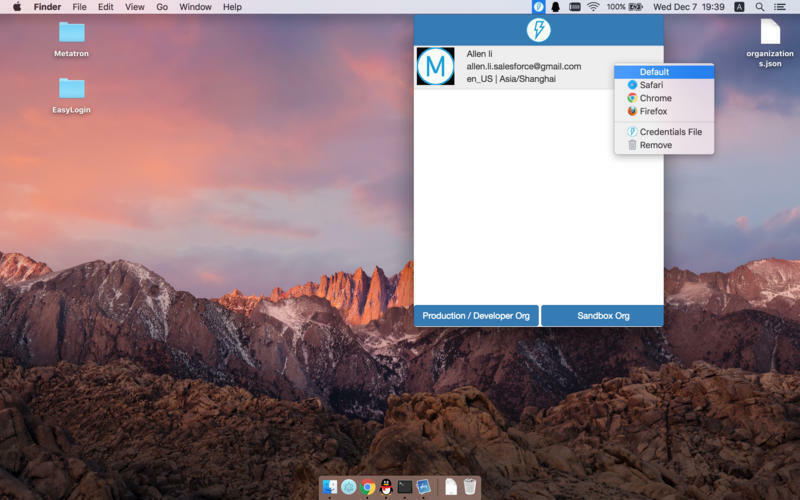 Is there a better alternative to EasyLogin? Is EasyLogin really the best app in Security category? 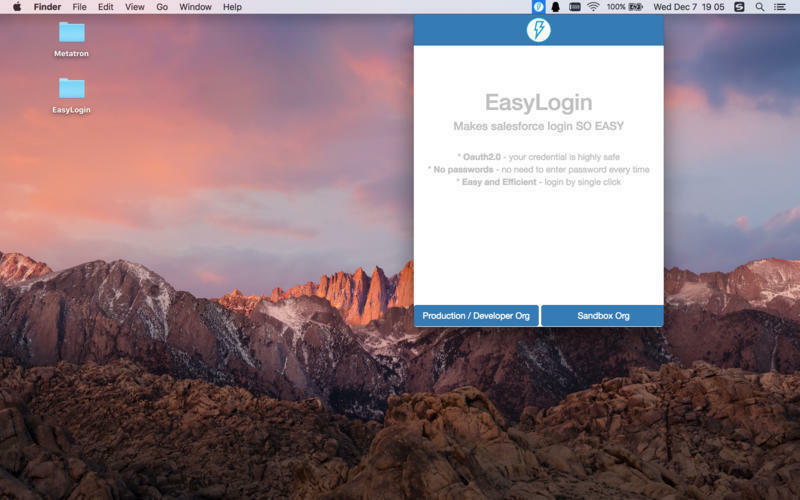 Will EasyLogin work good on macOS 10.13.4? 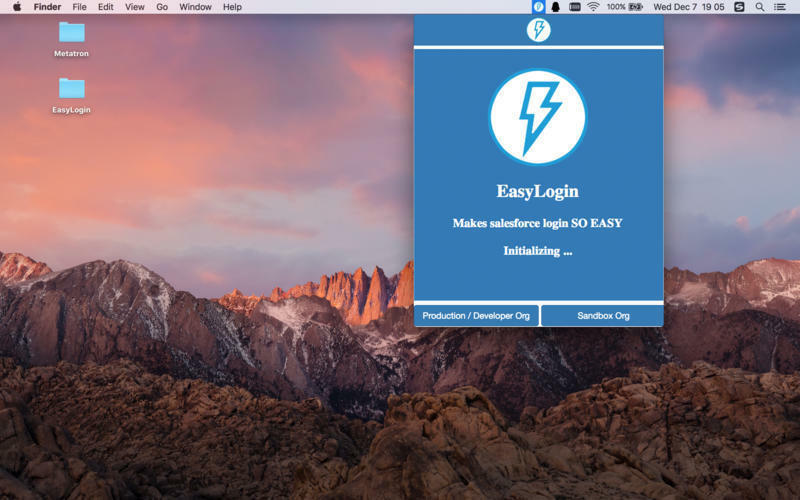 EasyLogin makes salesforce login easy. Records all your salesforce credentials and open all your salesforce orgs with single click. Can open your salesforce org in specified browser as you want. 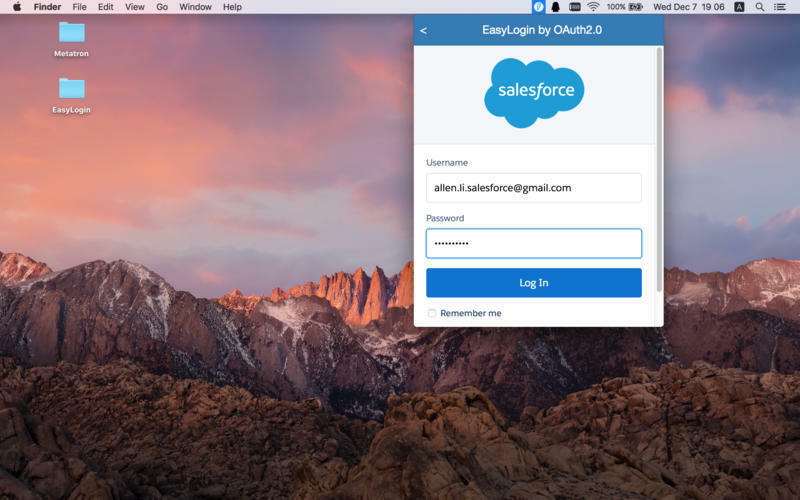 Records your salesforce credentials with OAuth2.0 mechanism which is recognized authentication technology. All credentials are stored as local file and you can delete it anytime. EasyLogin needs a review. Be the first to review this app and get the discussion started! EasyLogin needs a rating. Be the first to rate this app and get the discussion started!